Ag Partners is a strong, member-owned cooperative serving producers, communities, homeowners and businesses across Southern Minnesota and Western Wisconsin. Stueve Construction built the original building at the Goodhue, MN, location in 2006. Now the company wanted to increase capacity and load-out speed. 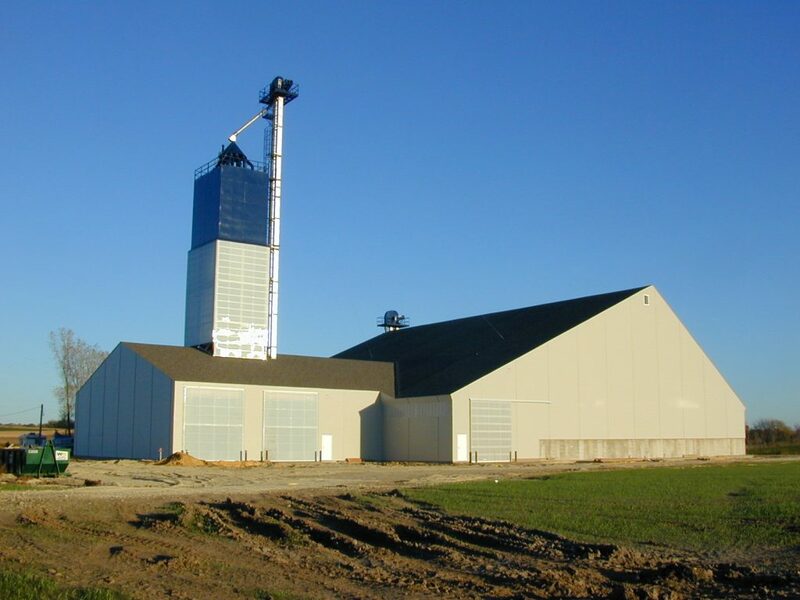 Stueve engineers designed a new building with the capacity to hold 6,200 tons of urea, plus three micronutrient bins. The new building is next to the existing building which already had its own 200-ton load-out tower. A new, 200-ton load-out blend tower with a 250 TPH capacity was added to the new building, as well. Russ Buscher, VP of Engineering at Stueve, said Ag Partners wanted to have both towers operable from one control room. “We built a new control room positioned between the two load-out areas, so one controller could manage both of them,” Buscher says. Both buildings are fed from the existing truck receiving system.